Simply print out the poem below (or make up your own), gather a few treats, and make a little sign that simply reads "BOO!" Then put everything all together in a little treat bag or basket, and secretly leave them on someone's front steps. Soon Halloween will come to all. Tricky witches at your door. In fact, a spook brought this "Boo" to you! Copy this note and make it two. No one will know who "BOO"ed whose places! Keep it secret, hide it well. Just spread these "BOO's" and Halloween cheer. Place the BOO sign on your front door or visible in a window. Within two days, make two copies of this note, two treats, and two BOO signs. Secretly deliver to two neighbors or friends without a BOO. 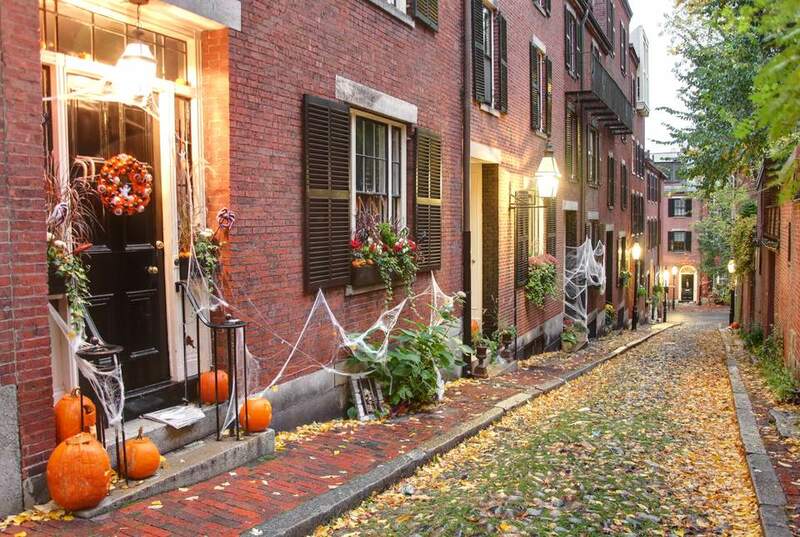 Keep an eye on nearby front doors to see how far and fast it spreads by Halloween. What Are Some Festive Ways to Decorate Your Entryway for Halloween?